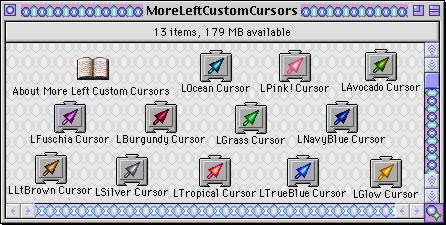 More left pointing cursors for the Mac community. Freeware. Also included on Styles Cursors CD.